Celebrate your favourite city with the new Monuments collection by Nomination. 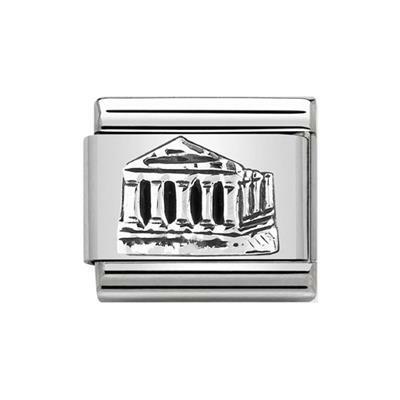 This beautiful charm, made from Stainless Steel with Sterling Silver details, features a Parthenon motif. The perfect sentimental addition to any classic sized Nomination bracelet.